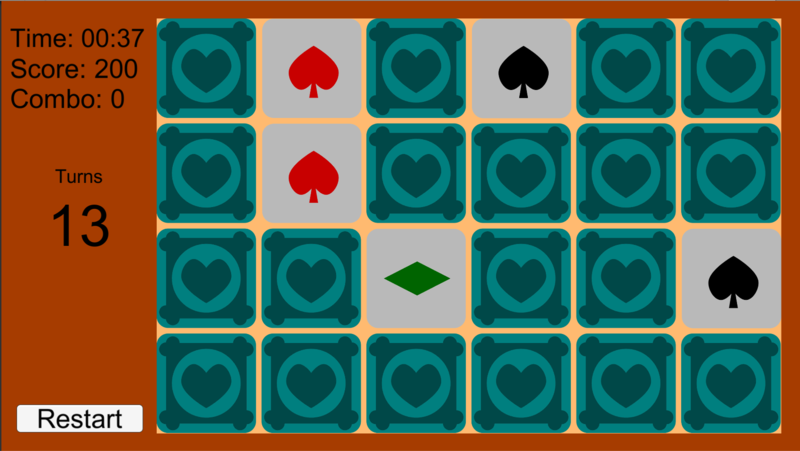 Create your own Memory / Matching Game in minutes, with this easy to setup asset pack. Code is already commented out. ★ Just setup your Game Scene how you want it to look using the Canvas System. ★ Use any Sprites you like as your outer and inner side of cards. ★ Create a Button Prefab to make use of. ★ Setup the Card Manager with the sprites to use, the amount of pairs you want to play and that’s it. ★ 1 CardAtlas with 15 Cards and 1 CardBack already in.